The Gwynn Park guard is having a big senior season. Gwynn Park (Md.) 2019 Guard Jalen Hayes. In a season of change at Gwynn Park (Md. ), 2019 guard Jalen Hayes has been one of the constants. 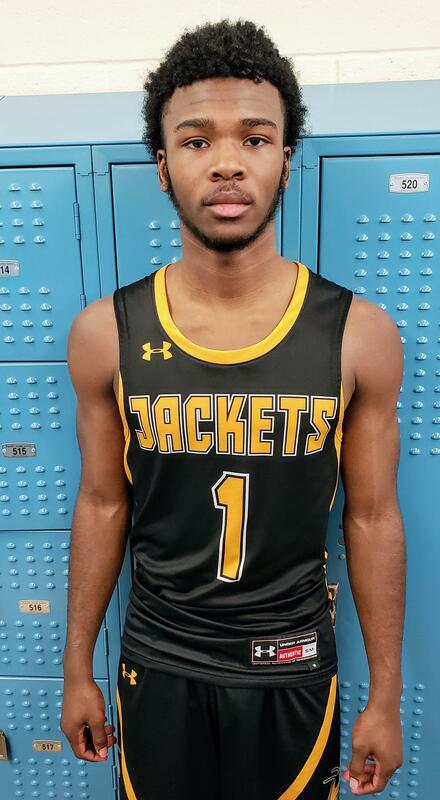 The lone returning starter from last year, Hayes has helped the Yellow Jackets’ transition to new coach Rob Garner’s system following the departure of longtime coach Michael Glick last summer. The 5-foot-11, 155-pounder has starred for Gwynn Park this season, averaging 25 points and 4 assists per game. HOW DO YOU FEEL ABOUT HOW THE SEASON HAS GONE? HOW HAS THE TRANSITION TO COACH GARNER BEEN? HOW MUCH DIFFERENT IS IT SYSTEM-WISE? HOW IS YOUR RECRUITMENT GOING? WHAT DO YOU CONSIDER THE STRENGTH OF YOUR GAME? WHAT IS IT ABOUT BASKETBALL YOU ENJOY MOST? WHAT’S BEEN YOUR FAVORITE BASKETBALL MEMORY?